In this episode, we continue our Father of Twins Interview Series with Rod Morris, father of boy/girl twins. Check out Rod’s company Lovevery and the Play Gym. 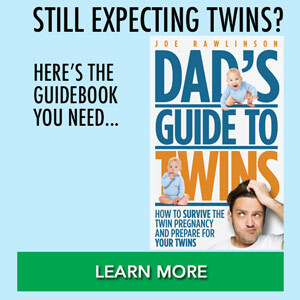 Joe: Hi everybody and welcome to the 155th episode of The Dad’s Guide to Twins podcast, this is Joe Rawlinson. As always, you can find me on the web at twindadpodcast.com, where you will find the complete transcript and show notes for this episode and all previous podcast episodes. Today’s show is brought to you by twintshirtcompany.com, where you’ll find dozens of unique, funny, and amazing t-shirt designs for parents of twins, just like you, for mom, for dad, and for grandparents of twins. Check us out at twintshirtcompany.com. Today we are continuing our father of twins interview series with fellow father of twins, Rod Morris, father of fraternal boy-girl twins. Rod’s twins just happen to be the same age as my twins, which is nine. He will share some interesting insights into parenting twins as they grow over the years, some of the challenges and how they’ve overcome those as a family. In addition, Rod is the co-founder of Love Every, a very interesting company to help your children developmentally as they grow from infants and beyond. Let’s jump right in today interview with Rod. Rod: I always worked in start-ups, which was a hectic lifestyle, and my wife did for a time as well. We decided that we would just add some challenge to the mix and bring some twins into the world. Actually, we have boy-girl twins, Ada and Ian, they’re our only kids, they’re both nine and they were the result of IVF. We pursued IVF for a couple years after we had difficulty just having kids kind of the non-IVF way and we were just so excited to have them, and then at the same time, like any twin parents, completely overwhelmed. It was like a bomb went off in our house right when they were born because it was just so much work, especially the first few months. It’s just an incredible amount of work, especially for the mom, but also for me as the dad, and then add to that we were both pretty busy with other parts of our lives at the same time, so it was definitely hard. Joe: Yeah, hard is a good description of welcoming twins into the world. How were you able to juggle the demands of work and business with caring for twins? Rod: The most important things for my wife, Andrea, and me were just ongoing communication with each other and actually really using schedules and shared schedules, for everything even as basic as making sure that Andrea was getting enough sleep because she breastfed the twins for most of the first year. So just making sure that we had a schedule where she was covered for sleep and where I was helping out as much as I could in other ways, since obviously, I wasn’t nursing them. And then just communicating about what each of us needs and also what we’re learning from email groups, from other parents, and things of that nature. So I’d say communication and really kind of paying attention to scheduling of everything for both of us. Joe: Did you schedule time to talk about what was working or whatnot, or was it ad hoc conversations? Rod: As a family, family meetings and the like and just scheduling time to talk about our parenting. And then maybe we did, very early on, we did have check-ins about schedules, but I would say it was less intentional at the beginning and more just sort of this crisis management, where you’ll cling to a schedule or a grid of tasks or anything that will give you some semblance of certainty when you just sort of feel like you’re just not in control of what’s going on. Joe: What surprised you the most about having twins? Rod: I think that there were two things that surprised me a great deal about having twins. One was just you see individual personalities and needs for each of these people, very, very early on, so one of the two things that you notice is that each of the two twins is far more an individual far earlier than at least I expected. I just sort of thought of them as this unit that, my cute little twins, when Andrea was still pregnant and I was just seeing them on the screen, getting ready to be born. But very quickly you see that they have different feeding needs, different schedules, different personalities even just coming out very, very quickly. And then the second thing that was a surprise for me, related to that, which is that it actually leads to this geometric increase in work, I believe, compared to one baby. It’s not as if you’re doubling the workload because sleep schedules aren’t coordinated, feeding schedules aren’t always coordinated, all kinds of needs are for each of these two individuals and you’re not really able to get any kind of scale out of it. I would say that we really didn’t get any kind of scale benefits out of having twins until maybe they were four years old or five years old, but before that, it was really about trying to please each of these individuals and give them what they needed very, very early on, on their own terms. Joe: How were you able to, let’s say, customize your parenting to each of their individual unique needs? Rod: I think it’s an interesting question because we know that science says that much of what a child needs developmentally is roughly the same in the first 18 months for most children. And so it’s not as if they needed different kinds of play, so much as they were more or less demanding about attachment or about feeding or about their sleep schedules and they did develop, kind of on the motor skills side, a little bit differently, but mainly this was about them expressing their needs. And so the thing that we found was most important was listening to each child and not comparing one to the other, just resisting this urge to compare all the time, and really just tuning in to each child as an individual, which is really hard to do times two, as you know. But really tuning in was important and really listening to each one, paying attention to what soothed them, paying attention to their reaction to feeding, things of that nature. Joe: So how has that changed over time as they’ve gotten older and we’ve moved away from kind of survival mode, to where you have two little people? Rod: So, I’d say there are two forces attention with each other. One is respecting and nourishing the perspective and desires of the individual versus kind of building a cohesive, sharing, communicative family unit. So, as an example, one of my two twins is more introverted and more interested in doing projects on their own. The other is more extroverted and just always wants people in the mix. So there is likewise attention for me between wanting to give the introvert time to do projects and be focused, but not wanting to do it to the point of not sort of also supporting the extrovert and also the extrovert’s desire that we’re all doing things together and that we’re working together and helping the introvert understand that as well. It’s tough because you don’t want to compare them or say “well, why can’t you be like your sibling in this way?” or “why did your sibling do this and you didn’t?” ’cause that’s just gonna create tension and it’s not a healthy dynamic. But you have to find ways to set a consistent set of values around both supporting individuality and individual perspectives and, at the same time, respecting that, hey, we’re a family and we do stuff together, we have responsibilities together, we have family work, we have family meetings, and really striking a balance between the family and the individual. And I think it’s just exacerbated a little bit with twins for a couple reasons. One is you’ve got to resist the crutch of comparing the two and also kind of resist one twin’s urge to compare themselves to the other, and that’s attention with a desire to have everybody get on the same page in a way that is positive and goal oriented, where each of these individuals feels like they’ve contributed to setting the goals to the family, whether it’s for chores or where to go on vacation or what to cook for dinner or anything else that we want to do as a family unit. Joe: Those are great points. It’s so easy to fall back into the habit or trap of comparing them, just ’cause you have two same age children, comparing them to one another when it’s important that we focus on their individual needs and strengths and help foster those, while playing nice, you’re right within the family unit. As your twins have hit certain milestones as they’ve grown, what were some of those milestones where it got easier for you as a father? Rod: I would say that the two ages that jump out to me the most are probably age four and age seven, so kind of moving into becoming sort of seniors in pre-school, and then kind of crossing over from first grade into second grade, I would say, were two, before those milestones, each of the children moved along fairly standard paths that you can kind of chart out, especially for the first 18 months. But even in pre-school, I would say I felt like we were still in survival mode, up until about age four, become a little bit better at giving and receiving communication in a way that could actually help them be self-sufficient, as opposed to just someone who you were managing and trying to keep from just destroying your house while, at the same time, making sure that they’re learning by exploring and trying out new things. So I’d say around age four that changed, and then around at age seven, I would say that they actually started to establish their own senses of kinda personal responsibility and right and wrong in a way that was much greater than they had before. And it’s funny because I actually had a conversation about this with our twins this past summer and I said something along the lines of “when do you think you knew the difference between right and wrong, when did you think you really knew it was a good idea or a bad idea to do something? Was it when you were in pre-school, was it when you were in elementary school?” And they kind of when back and forth with each other and they actually had settled on seven as about the age when they thought that as well. So for me, that’s a big step forward, because then you can have this shared perspective around right and wrong and kind of a rule set, so that you’re all sort of working off the same set of rules, the same playbook. So that’s why seven was big for me, and then, before that I would say four because there was this foundational level of communication and sort of self sufficiency that we kind of leapt to around age four as well, that kind of made me feel like I was finally out of sort of crisis and protection mode to a much greater degree than I felt before, when I just felt so overwhelmed as a dad of twins in the first few years. Joe: Yeah, those are great milestones. As they get more self sufficient and a little bit older and, like you say, you can have a common playbook that you share as a family of what expectations are. It makes things a little bit easier. 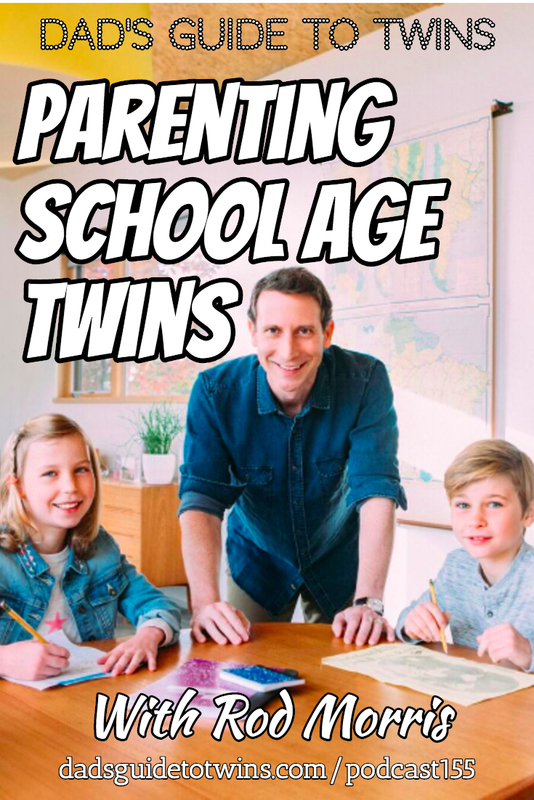 Or could you keep your twins together in school, or did you separate them when they went off to school? Rod: So in preschool, they were in the same classroom together and that was up from ages three, four to five. Age five, they went to kindergarten. Kindergarten, they were in a foreign language emersion program that was part of the public schools outside of Washington, DC, so they were learning French curriculum, speaking French all day, and they were in two different classes, but within this small program. So they shared a lot of the same friends, they would see each at recess, and they were learning the same curriculum, but they had different teachers. And now they’re in a school in Idaho that’s a relatively small school, but they each have separate classes. Joe: What have been some of the challenges of having them together in the same school, but separate? Rod: There’s really not a huge challenge, I would say, other than with one child being an extrovert and the other being an introvert, you can actually see the extrovert’s circle of friends crosses over into both twins’ classes, while the introvert’s circle of friends is smaller and just within their class. So it’s kind of interesting to see socially the way that the two twins’ personalities are playing out across these two different classes, but actually because we have been in first, a small foreign language program with a small number of individual classes, and now in a relatively small school with small classes, they’ve [inaudible 00:15:19] a lot of things on the same schedule, and so we’ve actually gotten plenty of scale benefits out of it. There haven’t been that many challenges. I would say the sort of most interesting thing that’s gone on is just seeing how each twin’s social network has impacted the other’s because they’ve been in classes that are different, but close to each other. 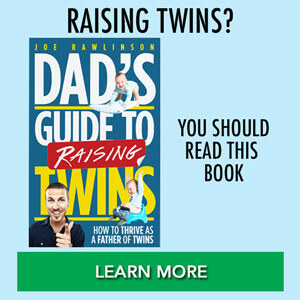 Joe: So, aside from the friend challenges or opportunities, now that your twins are nine and they’re on the verge of tweens and becoming older, what are some of the challenges that you’ve had because of this age that you see right on the horizon? Rod: So, I think there a lot of questions that all of us face around what kind of access you want to give your children to technology, for example, and how you want your child to spend their time. Do you want to react to this more complicated world by being more protective or less protective and letting them sort of learn consequences in their own way, and it’s really tricky. When it comes to technology, I think it’s interesting that so many leaders in technology, from Silicon Valley and Seattle, have now been on record as not having let their children have smartphones until they were 14, 15, 16, 17 years old, and these are people who were responsible for this whole boom of technology. You have to ask yourself whether or not there’s something to it that you want to apply in your own household. At the same time, you can’t get away from the fact that technology is core to the way that kids are getting their schoolwork done and also core to how they’re learning to solve problems, whether it’s how they’re doing their math homework or how they’re researching a paper that they’re writing or if they’re learning how to do basic coding, all of which at least one, if not both, of my twins have been involved in or expressed interest in. So you have to give them access to technology, but you also have to think about how you’re gonna do it and so that’s something that I’m struggling with and figuring out a path forward on right now with my wife, Andrea. Then the other is this whole notion of being overprotective versus kind of letting your kids sort of grapple with the world and facing all these challenges much on their own. And I think we’ve kind of sought out an environment where we thought we could give our children more personal freedom, because it was just a very safe area and that they were in a school that was very focused on nurturing individual needs. And so we moved recently to the Idaho, to the Boise, Idaho area, which I guess, on a recent survey, it was one of the top 10 safest cities in the world and they’re in a very intentional school that helps them sort of think pretty deeply about different questions on their mind and methods of inquiry and things of that nature. And so we’ve tried to kind of have our cake and eat it to, by going to a place and putting them in an academic environment where we feel they can be less constrained because perhaps the consequences are not as high, and then we’re trying to be equally thoughtful about access to technology. Joe: Yes, those are some great decisions to help foster a good environment for your children to come through those challenges. My twins are the same age as yours and all four of our kids are around the same age, so we’re going through those same struggles right now. Rod: It’s tricky. No matter what, it’s almost as if you’re guaranteed that the childhood and the challenges that your twins face and your other children face are gonna be so different from what you and I faced when we were growing up. Joe: That’s right. One of the joys of parenting is trying to figure all of that out. So, Rod, you are the co-founder of a very interesting company with a good mission to help foster early infant development of their brains. I wonder if you could share a little bit about that company and what you’re working on there. Rod: Sure. So the company’s called Love Every and you can get to the website at loveverybaby.com, so it’s loveverybaby.com and there’s an “e” that’s shared between love and every. And Love Every is a company that my co-founder, Jessica, and I created to serve up children with exactly what their brains and bodies need for each stage of development. We actually spent a lot of time with our scientific advisors and also combing all of the developmental science, whether that is related to motor or communications, problem solving, what have you, every aspect of development. We also checked it against practitioners in the field, from schools of thought like Montessori and Reggio Emilia and so on, and found that actually there are a lot of universal truths about how children learn that just are not being distilled into play products and also those concepts are not being communicated well alongside the play products so that a parent knows what to do or what their child is hungry for at a given stage. And we have a big vision for this company. Jessica, my co-founder, had previously co-founded a company called Happy Family, so some of your listeners might have bought baby food from Happy Baby or Happy Family Organics from the grocery stores, and she really understood this market and saw the need and I was a start-up guy, so I joined her to work on it. Our first product is a play gym, and then we have a number of other products in the pipeline that we’re readying for manufacture right now, but we wanted to pick a product that started off for the first year of a child’s life, when parents are really struggling with being overwhelmed, taxed with new decisions, and not sure what information to use or what product to buy. And we wanted to make a beautiful play gym that would last the full first year of a baby’s life and potentially beyond. Our design is actually patent pending and it’s designed to promote just the right amount of stimulation for a baby. It has an interchangeable zone, where you can slide in and out different graphic cards, based on the visual development of the child. It’s got different zones of play that you can reveal or conceal, based upon the age of the child, so that they’re getting just the stimulation that they need. All of the toys that hang from the gym are ergonomically designed to promote things like hand-to-hand transfer and other exercises that promote the understanding of cause-and-effect while a baby is really building that skill set. And then it converts into a play fort as the child gets older, so they can enjoy it that way as well. We built it all with sustainability in mind, so we used sustainable wood in creating the superstructure. All the mountable toys are also using either sustainably forested wood or organic cotton, so that it’s a great experience for the child and gives the parent a sense of security. And then finally, we think it’s beautiful and it’s great for twin parents because our mat is larger than the average play mat. You can actually put two babies on there pretty comfortably and you can see photos of two babies on the mat if you go to our website. Joe: That’s a very exciting mission that you have, as well as a new product coming out. I’m glad that you touched on how it can be applied for our twin parents because most of the things out there are designed for a single baby and so you end up having to buy two of those. It seems like your play gym should accommodate both siblings as they go through that first year. Rod: Yeah, I think that’s right. And in fact, we really tested it out for the ability of a child to move around on it and have more space to maneuver. And I think you would find, if you took a look at it, that that plays out in the design, there’s really a lot more space. And so, we’ve already gotten some great feedback from twin moms. There was a recent Instagram post of a twin mom with her twins enjoying the mat, simultaneously getting visual stimulation from the black and white cards that were inserted into the mat. So very optimistic about this product for twin parents. Joe: Fantastic. And I love how you’re helping to educate the parents as well, cause as parents, we know we want to do the right thing for our children and we’re not always what that right thing should be, what the next step should be, so that’s great that you have that guide that goes with the product to help facilitate the progression of the children through those learning phases. Rod: Thanks. I wanted to make as product that I would have wished I had when I had the twins as newborns because I was so overwhelmed and I valued education, I valued learning, I’d been handed a bunch of huge books about what I was supposed to do, but you’re so sleep deprived, it’s so hard and we just wanted to make it easy and approachable and make a beautiful product and I think we have. We’re really proud of it. Joe: Excellent, Rod. Well, as we wrap up today, if parents want to get ahold of you or learn more about this, where should they go? Rod: So, the place to go to learn about what we’re doing is loveeverybaby.com. And if you go to the website, there’s contact information there. If you contact us through the website, or on Facebook, you can definitely get hold of me. We are watching closely every order, every question that comes in, as we continue to refine our company and refine what we’re doing. So very interested in hearing any feedback or questions that anybody’s got, and just appreciate everybody checking out Love Every and taking a look at our new play gym. Joe: All right, Rod. Well, thank you so much for joining us today, we really appreciate it. Joe: I hope you enjoyed that conversation with Rod, about his journey as a twin father and some of the interesting things that he is working on, juggling starting up a company with raising his twins. Again, if you want to check out his new product, the play gym, I’ll link up to that in the show notes at twindadpodcast.com. And as a reminder, today’s show is brought to you by twintshirtcompany.com. As we approach Christmas and the holidays, now’s the perfect time to get that perfect for the father of twins, the mother of twins and the grandparents of twins in your life. Check out the dozens of designs that will make you smile over at twintshirtcompany.com. Thank you so much for listening and I’ll see you next time.